Prang's oil pastels have adjustable sleeves that help keep fingers clean. 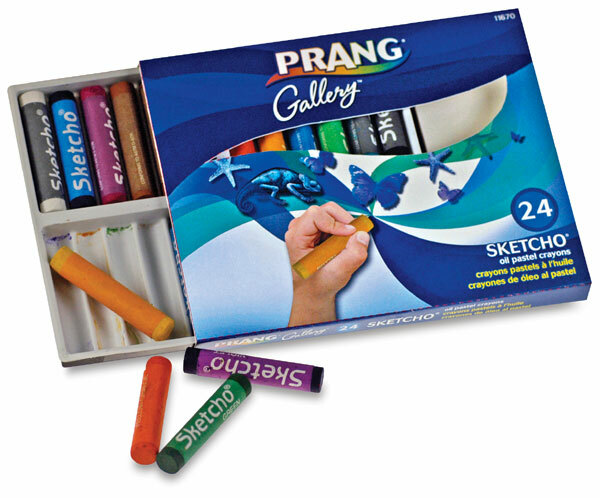 Directions included in each box tell you how to achieve the effects of oil painting, pastel drawing, stained wood and transparency. Sticks measure 2½" × ½".